What is a Sector and Central Angle? Just about everything in math has a name! 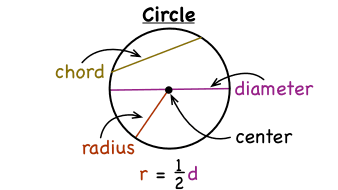 Did you know that a fraction of the area of a circle is known as a sector? This tutorial introduces you to the term sector and gives you examples of sectors. Take a look! The circumference of a circle is the distance around that circle. But what is the formula to find the circumference? In this tutorial, you'll learn the formulas for the circumference of a circle. Take a look!